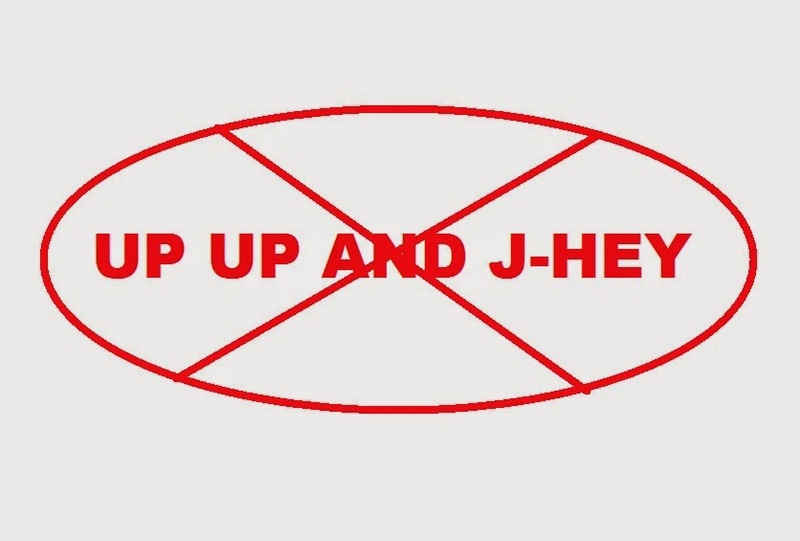 Remember Up-Up-and-J-Hey? How'd that work out? Yeah, as of opening day you won't see any of them in the outfield. Justin Upton was traded away to the Padres, Jason Heyward was traded to the Cardinals, and the crappy Upton is still sucking away our money like a grouchy leech in center field. Oh but wait, crappy Upton is injured so he won't actually start the season. Sarcastic huzzah! Also since many readers asked for more pictures, I'll be making terrible pictures in MS Paint for the blog this season. Enjoy my lack of talent! Instead we're likely to see an outfield of Nick Markakis in right, Eric Young Jr. in center, and Jonny Gomes in left. So, what should we expect from this completely overhauled outfield? In a word, experience. EYJr is 29 years old, Markakis is 31, and Gomes is 34. Nobody in the outfield last year was older than BJ last year, and he was 29. So does age help an outfield? Well, perhaps. In defensive ability, it's not exactly ideal. Younger players typically have better speed an range than older players. In terms of game knowledge and veteran chemistry? It's invaluable. Still, we're replacing Jason Heyward who is probably the best defensive right fielder in baseball. The problem I had with Heyward was that his hitting didn't always carry his defensive prowess, as I believe many metric-heads overrate an outfielders defensive value. That's not to say Heyward wasn't a great player because he was. I'm not going to pretend that the loss of Heyward isn't a bad thing for the Braves. But when you're not putting any runs on the board, it really doesn't matter if you're playing amazing defense, and the Braves got skunked a lot last season. Defensively, Markakis and Gomes are below average. EYJr is at best average. So you will see a falloff on the defensive prowess in the outfield this year, guaranteed. If anybody tries to sell you on defense, ignore them. However, you will also likely see more contact at the plate from at least 2/3rds of the outfield. As for comparisons, I believe Markakis is a better hitter than Heyward over their careers. Nick is a .797 OPS hitter for his career, averaging 17 homers a season with 38 doubles, and 78 RBIs. Jason was a .781 OPS hitter for his career, averaging 20 homers a season with 30 doubles and 69 RBIs. The RBI difference is primarily due to Heyward getting moved to the top of the lineup, but the OPS and power are very comparable. In essence, I think the Braves lose a good bit of defense in RF and could gain a little bit of hitting. If both players return to their 2012, everyone will be happy with the move. In that year, both players had OPS over .800. The big difference I notice is that Markakis doesn't strike out as much as Heyward, and he has a better K/BB ratio. That will impress traditionalists while sending sabermetrics people into a diatribe about how stupid strikeouts are while throwing charts at you. Gomes isn't an upgrade over Justin Upton. It would be completely ludicrous for me to suggest that, because Justin was an MVP candidate who slugged .478 for his career in Atlanta, which is frankly absurd. His loss is the biggest in my mind because he was the kind of player who could literally carry the team offensively when he was hot. The downside is that Justin could also inexplicably go ice cold, like in 2014 when he hit .169 in the month of September. Gomes offers two things, veteran experience and a World Series ring. He's the wild card in the outfield to see if clubhouse leadership actually makes a difference in team performance. If he can hit a .235/.340/.420 slash line, I'll take it. He had a bad 2014 which is the reason he was a free agent, if he can return to 2013 form, we'll be in business. I'm not going to even bother comparing Eric Young Jr. to BJ, because I could almost pull a beer vendor out of the stands and be more comfortable with him at the plate than Upton-the-Elder. A beer vendor might look at some pitches. He might actually take a walk. He's guaranteed to complain less, and provide the team with ice-cold-beer-here. Anyway, you get the point. I'm running out the clock on BJ's contract until the organization decides to pull an Uggla and cut him outright. Or have him shipped to the California Penal League. What should we expect out of this outfield? I'm hoping it will stay this way until Fredi Gonzalez tries to platoon BJ since he costs so much, and then we see less and less of BJ until he's booed into the locker room. Supposedly, the advantage of firing Frank Wren was that Frank was constantly telling the manager who to play and micromanaging the team. I don't know if I totally believe that, but all I'm hearing out of Braves camp is that the atmsophere feels looser and more positive. That's a great thing for team chemistry, and it's great if it means Fredi can bench players hitting sub-Mendoza line. I expect this outfield will see some returns to their prior year forms since all these guys hit their low points in 2014. After all, you don't usually get free agents at their primes unless you at a top-10 payroll team. The Braves aren't that. So, what they've done is roll the dice and hope that the gamble pays off while grooming some talent for 2017. I think it will pay off. Which Chris Johnson will we see in 2015?